Thank you for taking the time to post a Houzz.com Review. Appreciate your business and loved working with you. 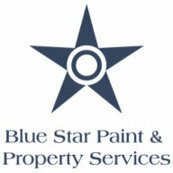 Blue Star did an excellent job painting the interior of our house. They were competitive with their quote and were very flexible with our schedule. thank you for posting a review and thanks for using our services. Congrats on your "new" home and thank you for your business. The review was awesome and will pass along your nice words to the guys.